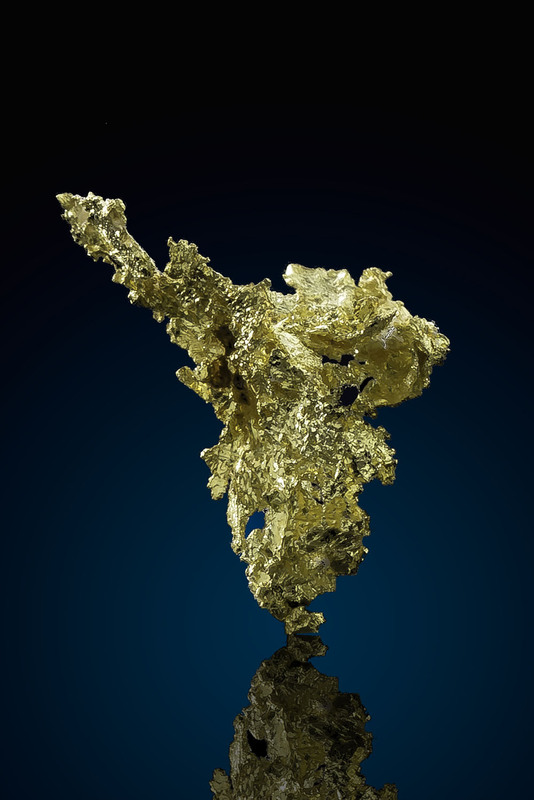 A sharp piece of crystalline gold from a famous mining district. 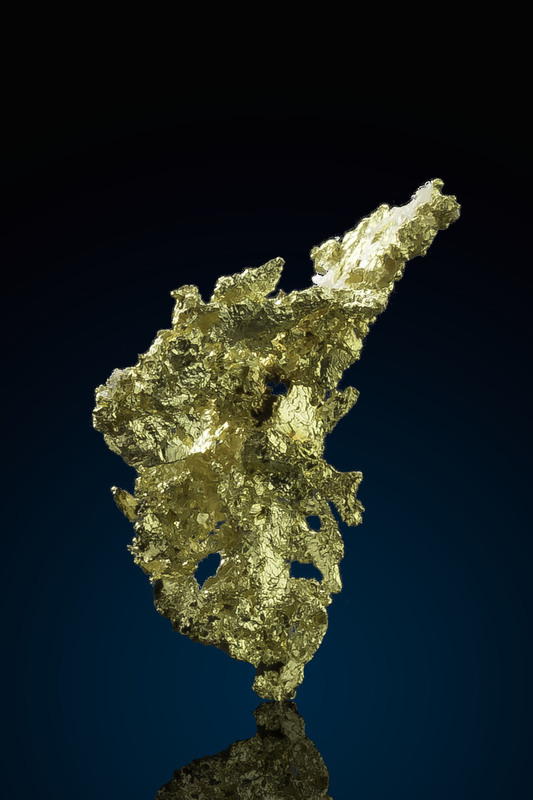 This gold specimen ahs a three dimensional form and almost forms a pyramid. Alleghany was the most famous high-grade gold mining district in California. 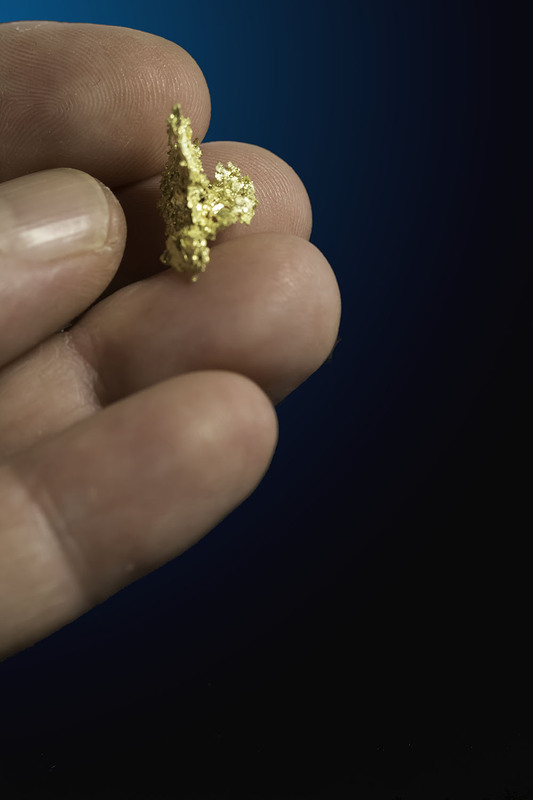 Much of this production was from small but spectacularly rich ore bodies and there were over 30 different Gold Mines in in operation at one time.